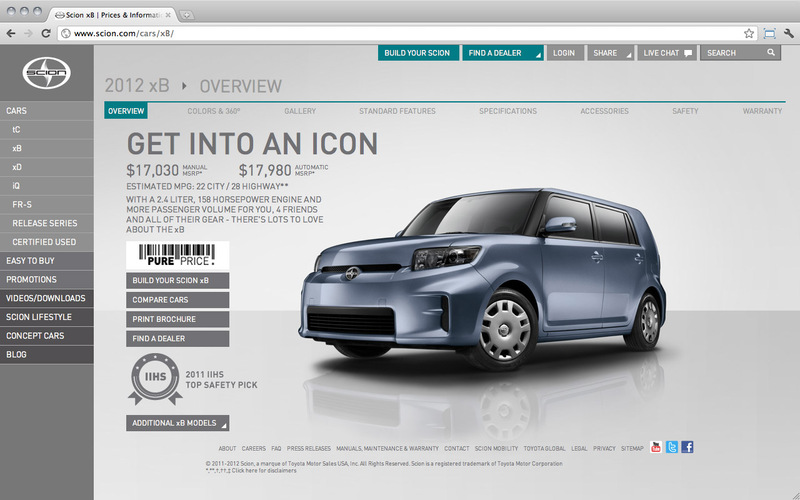 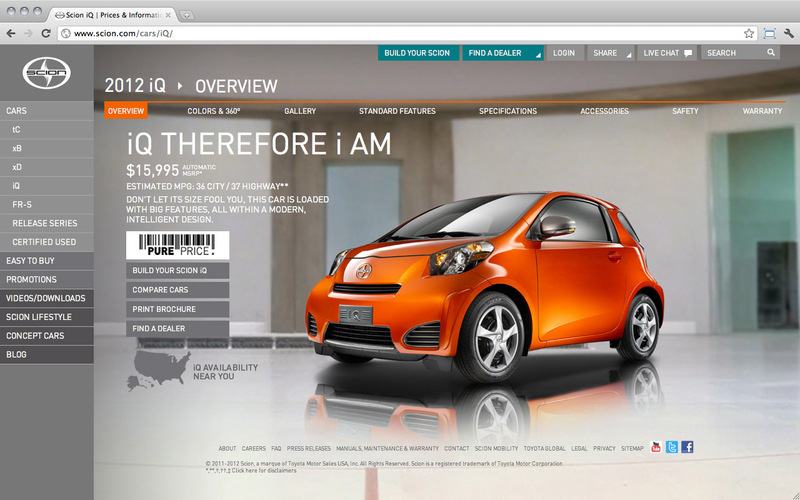 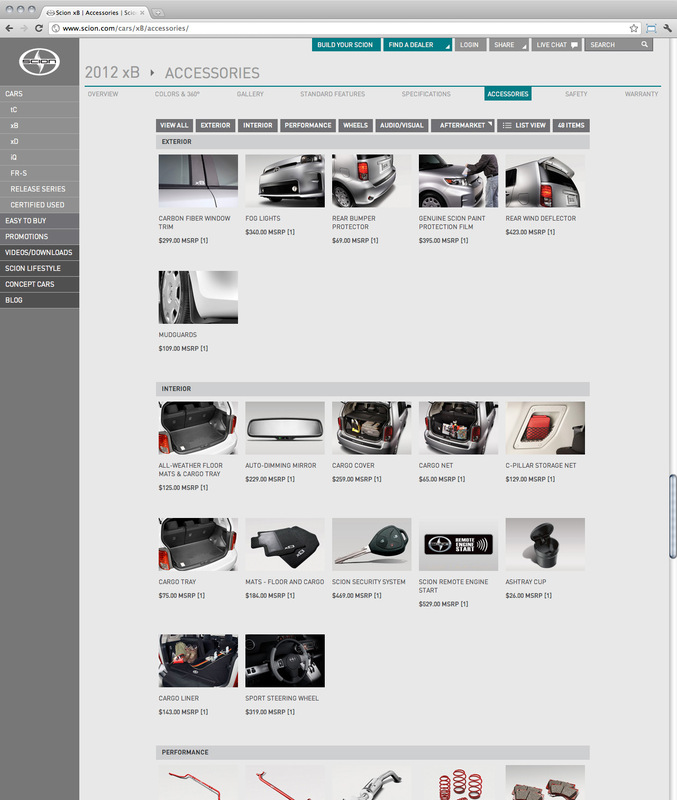 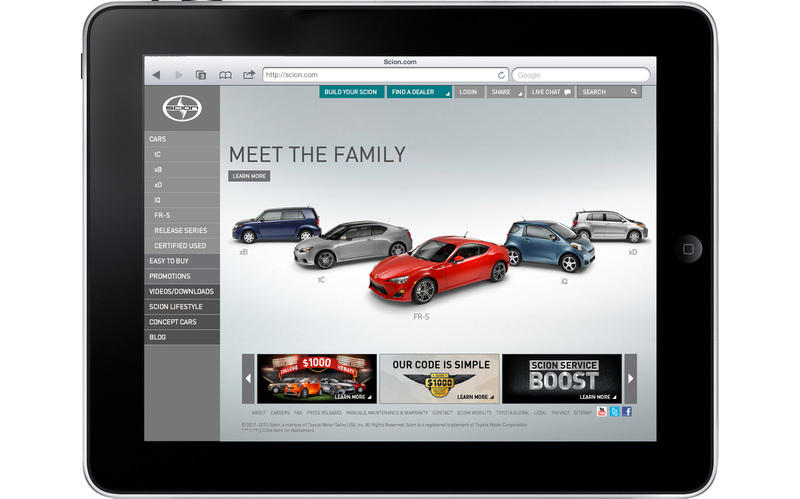 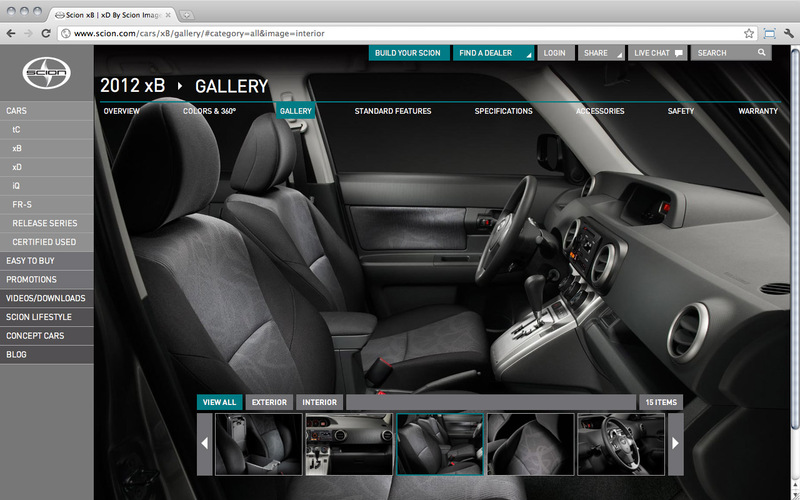 Scion needed a new site to showcase their upcoming vehicles and focus more on generating dealer leads. 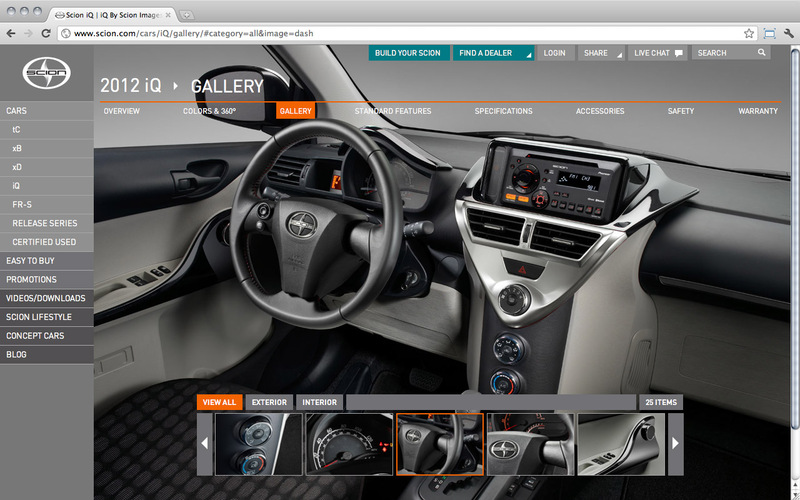 We tackled the project with a “three clicks away” philosophy that shaped the UX and design. 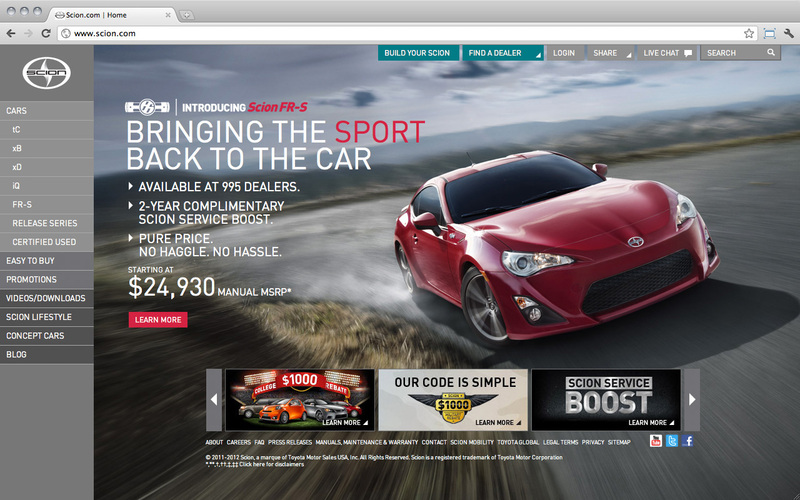 The final site leveraged their bold campaign imagery, was easily scalable, loaded quickly, and vastly improved users’ brand experience.